So I've noticed that I do very little damage to certain armored enemies, presumably because of their damage threshold, but when I use VATS to shoot them, each landed shot does dramatically more damage as if the DT wasn't being accounted for. Is there something else I'm not aware of that's causing this, like does VATS have a different damage calculation, or is this some sort of bug or what? Also while I'm here I want to say how amazing this project is and how nice the people who work on it are. 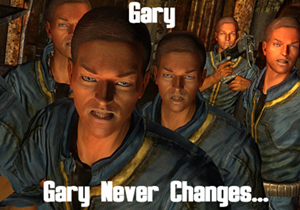 Thanks for making FO3 and NV feel like new games again. VATS has a higher critical chance.